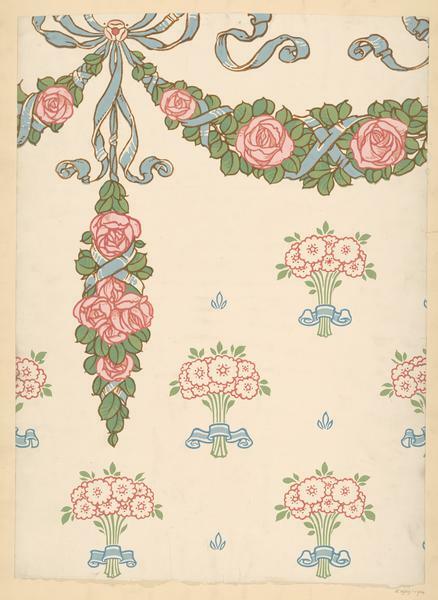 Portion of 'Hanover' decoration wallpaper, featuring festoons of roses and ribbon and a brick pattern of bouquets of flowers, on a pale ground; Colour woodblock print, on paper. 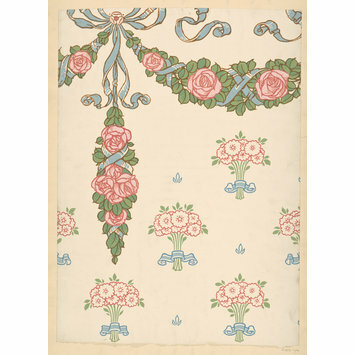 Portion of 'Hanover' decoration wallpaper, featuring festoons of roses and ribbon and a brick pattern of bouquets of flowers, on a pale ground; Colour woodblock print, on paper; Designed by William James Neatby; Produced by Jeffrey & Co.; England; 1907. 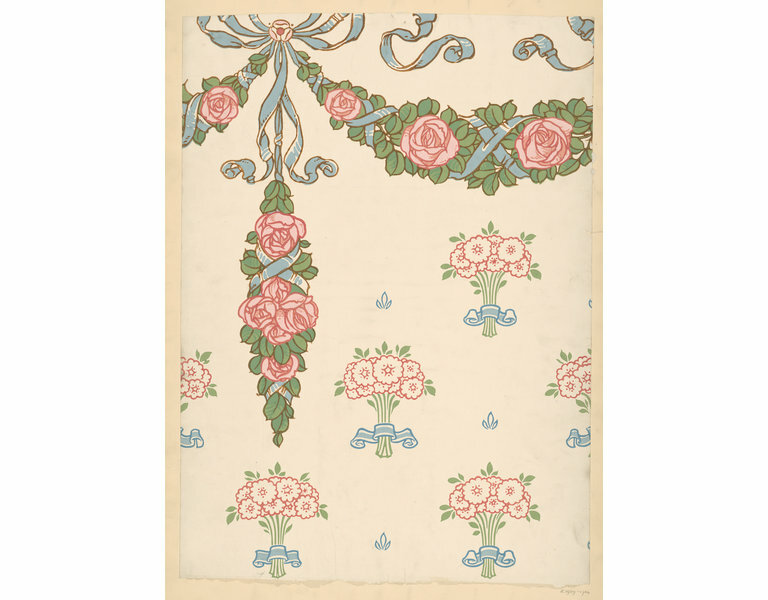 Intended for use with the dado E.1907-1934.